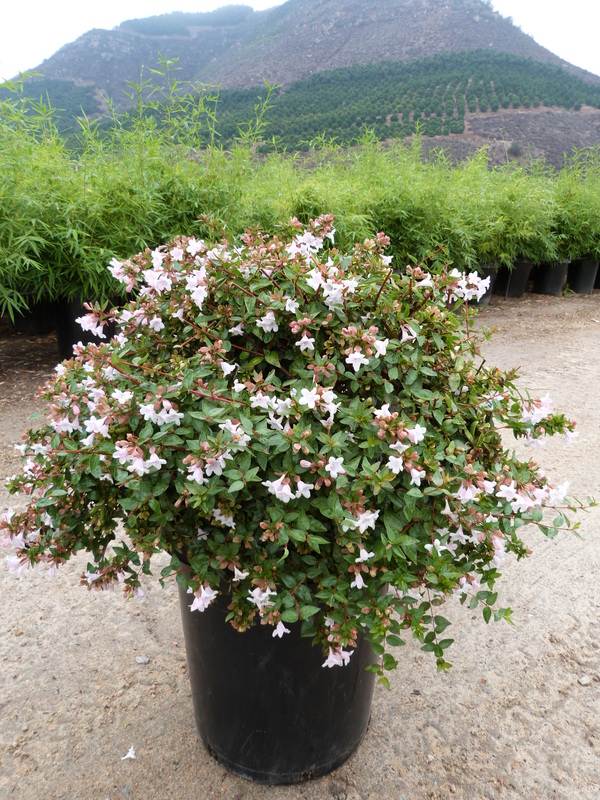 The graceful Abelia grandiflora, ‘Edward Goucher’, is a long-time favorite among gardeners. Its natural arching habit looks beautiful in an informal landscape, working as a screen in mass plantings, accent plant, or even to break up an existing screen for more interest. This attractive shrub has finely textured semi-evergreen leaves that are dark green in color with a red tinge. The newer branches of ‘Edward Goucher’ tend to be more red in color than older growth, offering even more colorful interest to the landscape. Clusters of pink flowers emerge intermittently on the terminal growth of each branch through the growing season. These pink bell shaped flowers are sought after by pollinators and are also wonderfully fragrant. The sepals of this Abelia, are just as attractive as the flower itself. They are a deep pink and make the blossom appear gradient in color in each cluster. This beautiful shrub can tolerate either full or part sun, is moderately drought tolerant once established, and is relatively pest and disease resistant. All in all, a very easy and reliable shrub for a variety of conditions and locations. Avoid shaping or hedging abelias in your landscape, or you will not get to enjoy it’s lovely flowers. Minimal tip-pruning only to maintain desired height and shape is recommended.